And I didn't hate it. Except for a few throw away references it has nothing in common with the book of the same name it's "based on." That would be a very different movie or perhaps a cable television miniseries. 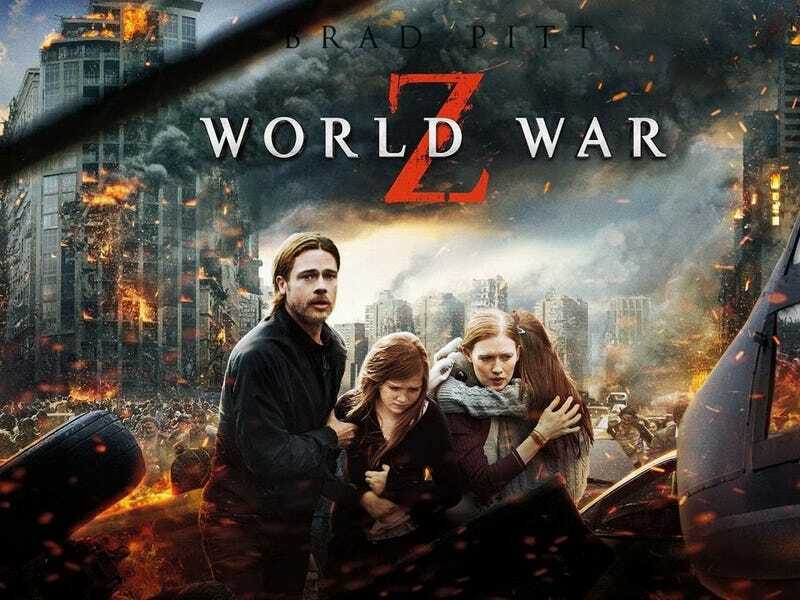 But taken on its own as a generic zombie/pandemic movie World War Z is a decent movie. It has plenty of flaws like any movie but I enjoyed it. And I liked the Israeli soldier who happens to be a woman (i.e. being a woman wasn't her defining characteristic or even mentioned). I refuse to hate the movie because it's not the book. Starship Troopers is one of my favorite books. The movie not only changed a lot of things from the book but also satirized some parts of it. But I still like the movie Starship Troopers as well. But yes, it would have been better if the movie had been named something more like Global Pandemic Z if only so it wouldn't be compared to a book it doesn't really resemble.